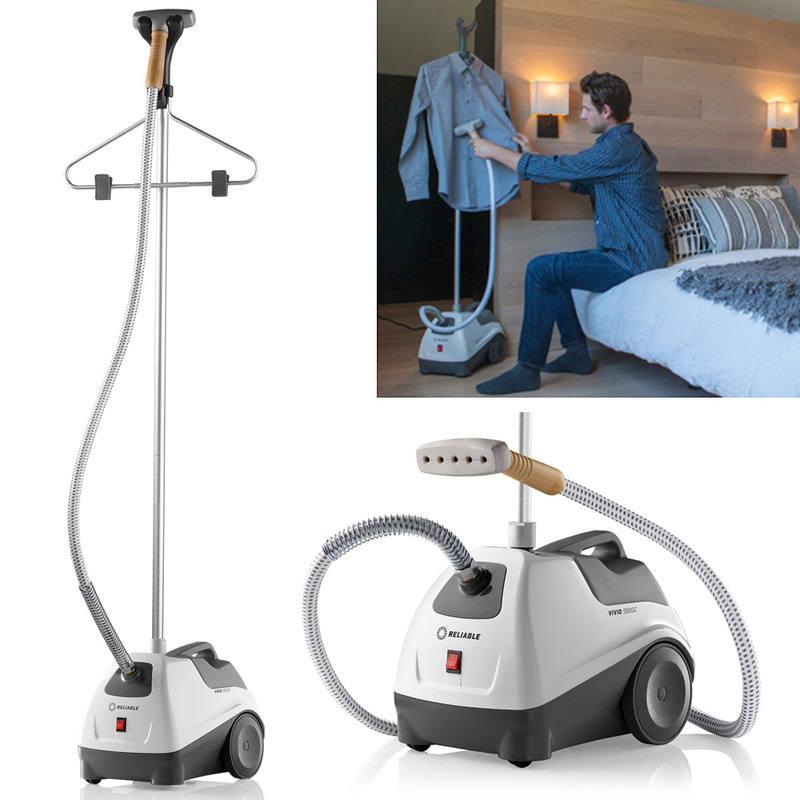 The new Deluxe Vivio 550GC Garment Steamer features an elegant cool touch wood handle. The Deluxe Vivio 550GC was designed to withstand the rigor of daily retail use. Removable steam brush and integrated water bottle design with automatic shut off for safety. Heavy duty brass fittings with a 1300 watt brass element ensures lasting reliability. Includes casters to easily move around your store. 3 year limited manufacture`s warranty.